A SERIAL thief will serve more than four years in prison after pleading guilty to fresh charges while already behind bars. 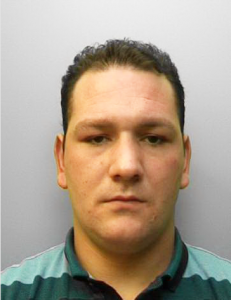 Following a Surrey Police investigation, 24-year-old Jimmy Loveridge was sentenced to an additional 12 months and two weeks incarceration, having already begun a 40-month stay at Lewes Prison, East Sussex, in connection with a ram raid at Mercedes-Benz World, Weybridge, in December 2014. Loveridge, previously of Chertsey Road, Chobham, had pleaded guilty when facing his original charges, and lodged the same plea when he appeared at Guildford Crown Court on Thursday last week. He answered further allegations of conspiracy to commit burglary and conspiracy to steal in relation to a ram raid at the Spar shop in Elstead on 14 December 2014 – the day before the Mercedes-Benz World break-in. The target in both heists was a cash machine. A large quantity of cash was stolen from the convenience store, with damages totalling £18,780. He was sentenced to serve, in total, 52 months to run concurrently with his original sentence. in addition to his original conviction. Temporary Detective Chief Inspector Shaun Anderson said: “Loveridge is a serial thief and shows little compassion to public property which has resulted in him being involved in a spree of ATM thefts.